There are certain things that affect a baby during pregnancy because they are able to cross the placenta and thereby reach the baby. Luxury Bath Products should be avoided. It was found that the high end products contain exotic ingredients that could often act as allergens or even be carcinogenic. The lower end shower creams/gels and the simple soap for the shower are better when you’re pregnant. Nail care: Those who work in nail salons have been known to complain of problems such as development issues among their babies, stillbirths and birth defects. A study even found that risk of spontaneous abortion rose among the workers. Toxic materials such as dibutyl phthalate, formaldehyde and toluene are thought to be responsible. And nail products still have many ingredients that inadequately tested. Spray tanning because of the airborne spray particles that may be inhaled during the process. Even the tanning beds should be given a miss because elevation of body temperatures is harmful for the unborn baby. Skin lightening products interfere with the production of melanin which is the dark pigment of the skin. These are ‘cosmeceuticals’ chemicals that cause this to happen. What happens through is pregnancy often causes the ‘pregnancy mask’ pigmentation to appear and one may well be tempted to use skin lightening products but these are best left off till the baby is born. Chemical hair removers have thioglycolic acid. 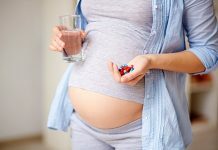 These chemicals are aggressive enough to react chemically and this is the reason there are no studies done to exactly how they affect pregnant women. Follow caution that they should not be used till the delivery. Previous articleSpotting During Pregnancy – How Worried Should You Be?